Orange Amplification unleashes the O Bass, the latest brainchild of Ade Emsley, Technical Director and Lead Designer. It first made an appearance at the 2014 Winter NAMM as a demonstrator piece, hidden from view backstage. However Orange has been inundated with production requests following a number of leaked internet videos. With its impeccable smooth lines and shapely aesthetics, the O Bass has a distinctive sonic mojo – a well-balanced bass response with a warm strident mid-range. Players with a softer touch will immediately love the abundant ‘Motown-esque’ earthy overtones. Dig in a little more aggressively and the O Bass will respond with infectious harmonic raunchiness, ‘growling like a policeman’s dog’ as Ade put it! Available in three colours, Teardrop Sunburst, Off-Black and Orange, the O Bass comes with a maple neck, rosewood fingerboard and custom-wound split coil pickup. It is supplied with a second 3-ply pickguard for customisation and fitted with master volume and tone controls, a top loading 4-saddle bridge, 2-a-side open gear tuners and knurled knobs. It comes complete with a padded Orange gig bag. 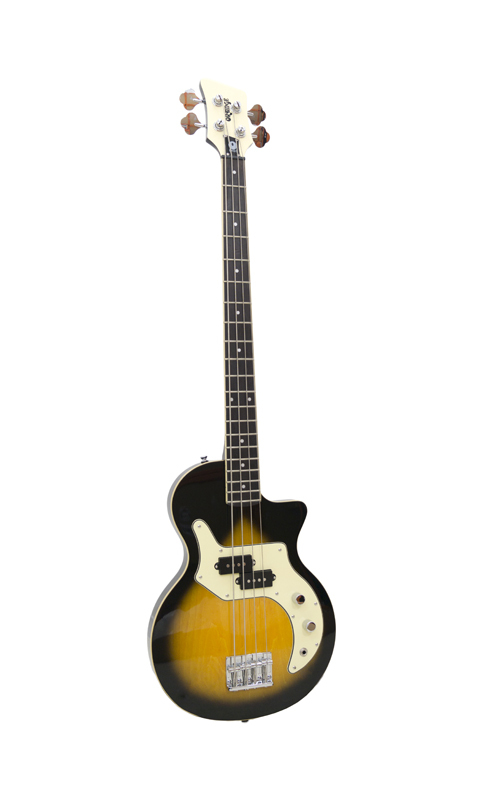 The O Bass is set to be an instant classic with bassists pursuing a genuinely authentic retro sound. Check it out, with other new products at the Orange Amplification Booth# 4890, Hall C.